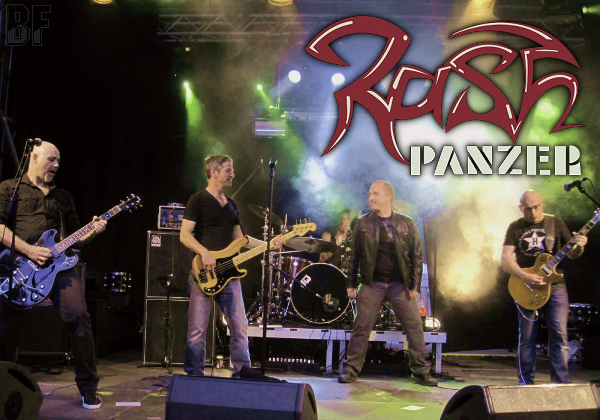 Swiss veteran Hard Rock band RASH PANZER was founded in 1979 by François Pellarin (guitar) and J.Jay Guertchakoff (vocals). 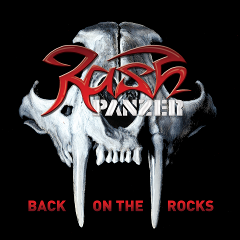 RASH PANZER made its mark with the landscape of European Hard/Power Rock and was independent until 1991 before the RASH PANZER's singer decided to close the saga in Geneva at l’Usine (the Rock factory) during an epic live recording (Wild, Raw & Live) to a packed house. They released so far an EP "Rock'n Roll Street" (1989), their first album "Rated X" (1990), and 2 live albums "Rash Panzer Hits The East Coast" (1989) and "Wild, Raw & Live" (1992). Now they are back on the roads with their long-awaited 2nd album called "Back On The Rocks" which was released on October 1st 2013. "Back On The Rocks" features as special guests, Thierry Wetzell on drums, Franco Casagrande on back vocals and Monney B on slade guitar and back vocals. Produced by Dennis Weinreich. The band plyed at the Crypt Music Festival 2013 in June, recently the band performed at a pub MR PICKWICK (Geneva) on November 7th.